Confessions of an ADD English Teacher: Book Giveaway! Did you know this month is my 5 YEAR blogaversary? I really wanted to do a cool giveaway to honor this event. In fact, I've been waiting several years to do this very giveaway. A few years ago, my friend Jen mentioned she was writing a book. I like to read. I offered to give some feedback on the book....and it was pretty awesome. I enjoy forensic science TV shows and books. In fact, if I turn up dead, our DVR will probably make my husband look very guilty. Anyway, Jen let me and a few others read the book. Lots of editing. Lots of time. And what shows up in my mailbox? 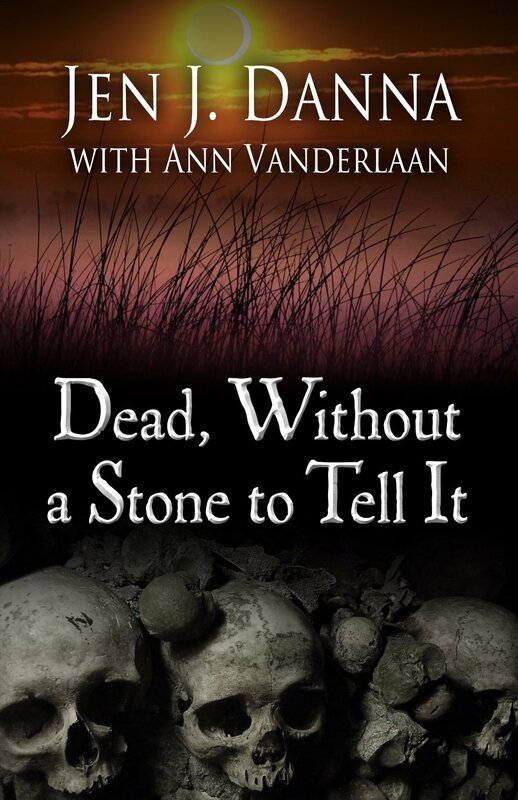 An Advanced Reader Copy of Jen's book, Dead, Without a Stone to Tell It which is currently available for pre-order on Amazon! Woohooo! I'm in the acknowledgments! When a human bone is found on a lonely stretch of coastline, a determined homicide detective and a reluctant scientist risk their lives as they join forces to bring a serial killer to justice. Trooper Leigh Abbott has something to prove, both to herself and to the chauvinistic men in her department. She's been assigned a difficult challenge: solve a murder where the only evidence is a single bone. To identify the victim and find the killer, she must join forces with forensic anthropologist Matt Lowell. Matt's initial refusal to join the team is only the first in a series of setbacks. 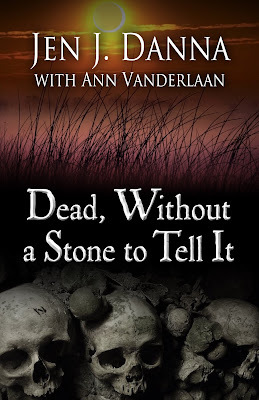 Matt and Leigh's skills and tenuous partnership are tested when the evidence leads them to a burial ground of unidentified victims, where, to their horror, they stumble upon a freshly ravaged corpse. As the body count rises, the team must piece together a deadly puzzle spanning years of clandestine killings. Before long, the serial killer raises the stakes and Matt and Leigh find themselves marked as targets. Now they must stop the killer before they become the next victims. You don't have to wait until June to get your very own autographed advanced reader copy. Just enter the Rafflecopter below! The drawing ends April 5. Thanks for hosting the giveaway, Micki. More than that, thanks for your help with the book! It takes a village to raise a child; apparently it also takes one to write a novel! ;) And congratulations on 5 great years. That is quite the accomplishment!